Charting its own course, as usual, Apple made some big changes on its 2016 MacBook Pro lineup. 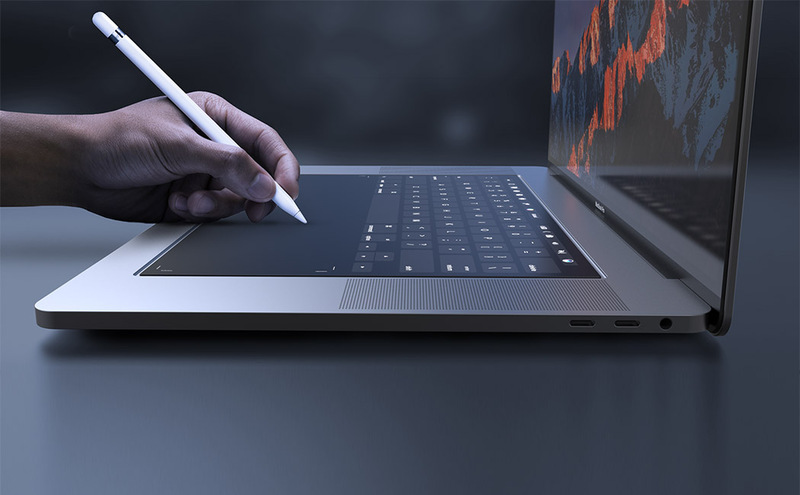 Not only did the company reduce the thickness to levels once found on the MacBook Air, it also introduced a thin OLED strip dubbed ‘TouchBar’ and a brand new keyboard design. The remarkable decrease in thickness didn’t come for free. To achieve it, Cupertino was forced to remove all ports from the notebooks and dub the move as ‘forward-looking’, citing USB-C as the emerging standard. As usual, Apple’s hurry to jump ahead of the competition drew ire from users. The most significant and widespread came due to malfunctioning keyboards. The Butterfly switches on the MacBook Pro are designed to operate in a small area. This results in dust and other debris getting stuck under them and rendering keys useless. As it’s evident, where Apple gives with one hand, it takes away with the other. Personally speaking, if you remove the constant worry of keys malfunctioning on a machine that costs north of $1500, the MacBook Pro’s keyboard is amazing. It’s very comfortable to type on and increases speed (at least for this humble writer). Apple might also have made slight changes to the keyboard’s design on the 2017 refresh. And speaking of refreshes, there might be another one on the cards, if the stars align. Head over below for more details. As noted by AppleInsider, Apple’s running out of MacBook and MacBook Pro inventory. The current time frame for the Corei7 variants opens up the free delivery option from June 4th to June 6th. In-store pickup for the same models is also delayed to June 6th. For the Core i5 variants, capable of achieving 2.3Ghz, are not available for shipment before June 4th. When viewed as an isolated fact, these development don’t mean much. After all, the company just might have run into inventory problems (which itself is embarrassing given Apple’s size and Tim Cook’s experience. However, take it together with recent rumors of a 2018 MacBook Pro refresh and the shortage just might hint towards Apple’s plans for an upgrade. Since correlation doesn’t mean causation, we’ll suggest you take it with a grain of salt. Nevertheless, troubles with the existing lineup’s keyboards and widespread frustration for Core i7 being available with the 15″ model (except for built-to-order) might just nudge Apple for an imminent. A recent patent for an upgraded keyboard design suggests that the company is looking in the direction. Apple’s Alleged 2018 MacBook Pro Lineup: 8th Generation Intel Processors, New Keyboards, And Even Thinner Bezels? The first thing which jumps to mind when considering a 2018 MacBook Pro refresh is the processors. Intel’s Kaby-Lake R chipsets are out. 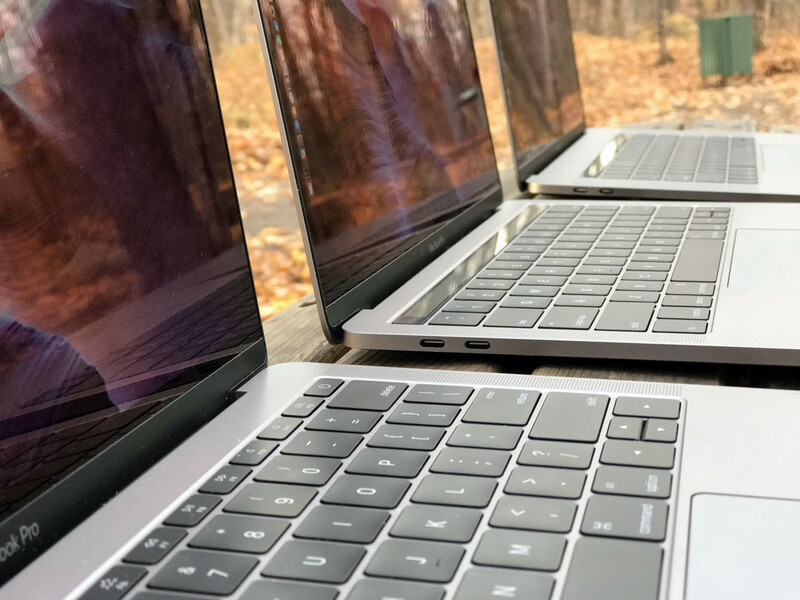 Supply chain sources suggest that should Apple refresh the MacBook Pro lineup, the processor upgrade will be the only key change on the notebook. Talking about Kaby Lake, Apple has two options. The first of these are Kaby Lake R processors, that double the number of cores found on the current base MacBook Pro variants. The other option will have users drooling. Intel’s Kaby Lake G chipsets are the true silicon with power, clocking at 3.1GHz for the i7 and 2.8GHz for the i5. These also have AMD’s GPUs on board and will assuage a lot of users complaining about adequate graphics power on the MacBooks. Of course, should Apple find real ‘courage’ with Kaby Lake G, the processors will only grace the 15″ MacBook Pro. The other two major upgrades that might take place will surround upgraded keyboard designs and possible bezel reduction. While it’s unlikely for Apple to introduce thinner bezels so soon, a keyboard refresh needs to accompany the 2018 MacBook Pro lineup. Cupertino’s got a serious keyboard problem and the sooner it takes care of it, the better. Thoughts? Let us know what you think in the comments section below and stay tuned. We’ll keep you updated on the latest.